This is Your Digital Marketing Nailed with Stephanie Campanella. Episode number five. Awesome Facebook Strategies for tradies, with my mate Paula O’Sullivan. Good Day everyone, It is Wednesday, so we have a very awesome treat here. I’m sitting here with the awesome Paula O’Sullivan from Possum Digital Paula, hey. Awesome. Thanks so much for joining the live stream. Paula: Thank you for having me. Steph: What is it that you do? Paula: What we do is we help businesses actually connect with their target market online. We work a lot with clients through Facebook especially. We help them grow a community. We help them build a brand. We help them also drive traffic to their website so that you can take over and help them collect leads. Really what it’s about is brand awareness and engagement so that you can actually market in a much better way. It’s not really about cold calling. It’s really about building a community of people that are gonna be attracted to your brand, but also come back to you. Paula: Once they’ve engaged with you, they’ll come back to you again and again. Not only themselves, they’ll refer you to friends and family. Steph: Awesome. Paula just mentioned community. Community is so important on social media. Is there a nibble that you can give us from a community perspective as to why Tradies shouldn’t just be smashing content on Facebook but they should be thinking about how they can build a community? Paula: Really one of the tools that I love using is questions. It’s such an underrated way to engage with the community. Ask questions; What is the one thing you want to know about plumbing? Do you want to know how to fix a leaky tap? Paula: What are the top questions that you want to know about from a builder before you engage with them? 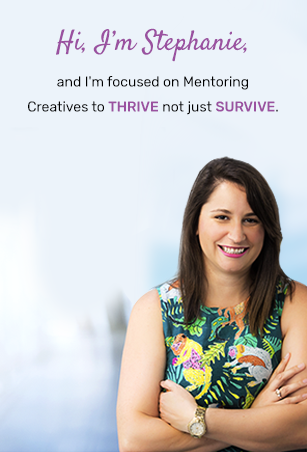 Paula: Really if you’re thinking about the kinds of content that you’re developing to engage your community with go to your community and ask them because they’re going to be an untapped resource for you. Definitely ask a question. Steph: Ask a question. Ask your community. Engage with the community. Paula: Yeah. Engage with the community, ask questions, because we’ve seen the Facebook newsfeed changes that happened way back in January. Steph: January 11th 2018. God, that feels like a year ago already. Paula: Exactly. What Facebook is prioritizing … Yeah, exactly. What Facebook is prioritizing is long comments. Steph: Without being that typical do you like this? Add a comment at the bottom. Paula: That’s just really stupid. Steph: Not yet, but please do. Paula: It’s this kind of content where we can ask you a question. What’s the one thing you want to know about Facebook to really help you get going? There you go. Steph: I guess a good question to ask here is, if you’re seeing this and it’s later on in the day and you have some questions on Facebook I could always invite the awesome Paula back and she can come in here and ask you some … Yes. Steph: She can answer your questions for you. Paula: Absolutely, absolutely. The good thing about this kind of content … The really good thing about live content is you can actually have a conversation directly to your audience. Paula: Here and now, exactly. This is so not scripted. Steph: Now, what we did script, or what I did actually want to ask Paula is:. Steph: How can Tradies use Facebook to engage with existing and then with new customers? Steph: How can Tradies, besides just throwing content on there, how can they engage with new users and with existing users? Paula: Sure. Taking this a step back, there’s a phrase that I want to introduce here called social proof. What this is actually about is building your online credibility on Facebook. Paula: Because what happens … Think about your own behavior when you’re researching something. Just say I want to research … I want to find an awesome web developer. I’m luckily sitting next to one here, but if I didn’t know Steph and I wanted to know Steph I would go onto Facebook and type, search for web developers. What I’m then looking for is are there reviews? What kind of content are they producing? How are they engaging with people? Steph: Are they a real business? Paula: Yeah, exactly, and are they real? Steph: Are they going to rip me off? Paula: Do I like what I see? Paula: Exactly. Is this someone that I can have a conversation with and they’re not going to make me feel like an idiot? Steph: Right, so they’ve got to have a Facebook page with real content. Steph: So it shows that they’re real people. Steph: That’s the first thing they could do. Paula: That’s the first thing they can do. The types of content you can use to really connect with your audience, there’s two types of content. One, first type, case studies. Case studies. Paula: This is one that I love. One of my clients that I work with in the Tradie space, what we get them to do is every time they start a job, take photos. Take photos of what the job looks like, and then when you’ve completed the job, just say it’s a month-long job, at the end take photos of what it looks like now so that people can actually see here’s what it looks like before and here’s what it looks like now, and how awesome does this look? Steph: A before and after photo. Steph: Literally the photos from before, throw them on your blog. Steph: Write a little article, and then the photos after. Steph: It shows transformation. Transformation is what you can sell, what you can use to sell your service..
Paula: It’s proof of what you do. Proof. All you need is one of these. Steph: Oh, there it is. Paula: There it is. There it is. Paula: All you need’s a phone. Paula: Everyone has a smartphone. I’m sure you’ve all got smartphones. Take a photo, take photo, done. If you need help packaging it all up, just give Steph a call and she can help you make it all look pretty and presentable. Paula: Yeah. That’s the first thing. The second thing is educational content. What people want to know is what is it that you do? How do you help me? I don’t care about the various nuts and bolts and all the … I don’t care about that stuff. What I want to know, what I want to know is what is the end result going to be for me. Paula: Exactly. All of those. Paula: All of those. The question you need to ask yourself is why would someone come to you over someone else? Steph: Facebook can help prove that. Steph: Landscaping… the soil at the front…. Steph: We’ve got no idea, guys. Steph: We’re not going to pay money to fix it. Paula: We’re not going to fix that. Paula: Exactly, exactly. It would be like when Steph talks about website hacks. There are some really, really dodgy people out there that want to hack your website, so you need people like Steph to make sure that doesn’t happen, and then your business is secure. Paula: What you’re actually doing is saying to people, “So, here’s what I do, and here’s one particular thing that we can talk about. Here’s one way that I help you. Here’s how.” You could take a video, again, on your phone of you actually fixing a tap. Here is what I do. Done. Paula: It’s a piece of content. Steph: You’ve just sparked my brain. Steph: I love this analogy when talking social media because it’s just … It grids my bones. You just said it’s not about sales. It’s not about selling your service. It’s not about saying, “99 dollar, or 0 dollar service fee,” or ra ra ra. Steph: What do you say? They’re going to resonate with someone who’s going to educate them on the fact that if you don’t have a retaining wall all your stuff’s just going to fall into the street, and that’s the last thing that you want, and the council’s going to come after you. Paula: God Yes! That could be a pain point, stop council knocking on your front door. Steph: There you go, you’ve got your blog idea. Awesome. Steph: Ten minutes already. Jesus. We can talk. Paula: Have we gone for ten minutes already? Steph: We’ve actually gone for 11 minutes right now. Paula: Wow. The one thing that you can do right now. When you’re doing your before and your after photos, and when you’re taking your after shot, the completed job, and your client is ecstatic, they have loved what you’ve done, ask for a review. Get them to go onto your Facebook page and leave you a review. Reviews on Facebook are so powerful. So powerful. Steph: We haven’t actually done a Tradie] Tuesday on Facebook reviews at all. Steph: So maybe we’ll have you back. Paula: Yeah. Maybe if I just drop that there and then we can talk about it at another time, but that’s a whole other conversation. Paula: Because you can actually have a strategy around asking for reviews at the end, at the completion of a project. Steph: You should 100% have a sales strategy about how you’re going to generate these reviews, because reviews bring in new business. Steph: All right. Awesome. Is there anything else, Paula, that you would like to share? Have I missed anything? Paula: I think we’ve shared lots already. Steph: We’ve shared a lot, yeah. Paula: We’ve shared a lot already. Paula: There’s so much I could say about Facebook advertising, but I think that’s for another conversation. Steph: Yeah. We’re going to nibble this down. Paula: Yeah. Think about when you’re thinking about engaging people on Facebook really think about the content that you produce and think about how it’s actually going to engage with and resonate with your audience. Steph: Yeah sick. All right. Awesome. Well, if this was of any value to you then please like it, comment, give us some love and let us know that this has helped your business in some form or shape. I’m going to drop a URL for Paula’s awesome social media channels and website, so that that way you can find her again. I think, Paula, we’d love to have you back. Steph: Let’s see what the community says, but, yeah, I think this has been awesome. Yeah. It is wonderful Wednesday. I hope you’re having an awesome day. Hello there, Did you love that? It was originally a Facebook Live recording, which I’ve ripped for you guys – the dedicated podcast listeners. Thanks so much for tuning in. Next week we have another Guest! Yes we have Cate Kemp from SBFO.com.au coming in to talk bookkeeping for tradies. She talks of a secret envelop that makes a world of difference. To see Paula in all her glory go to www.possumdigital.com.au or like her on Facebook https://www.facebook.com/PossumDigital/.